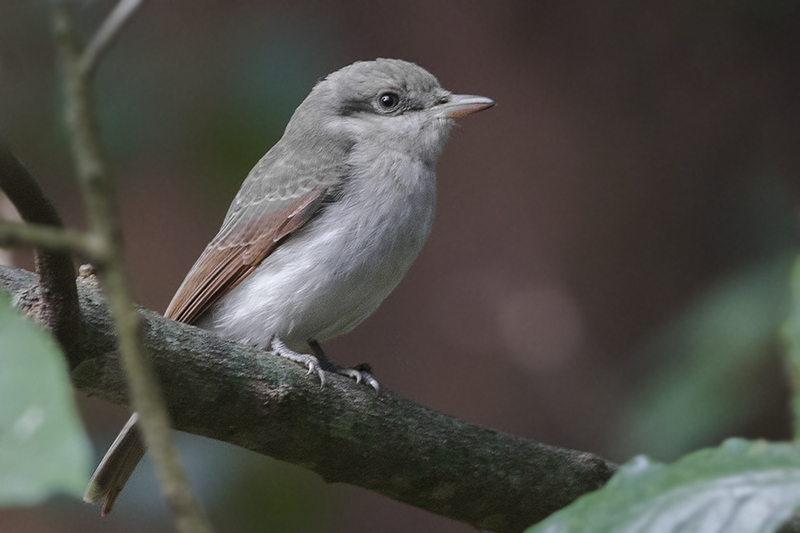 Prionopidae – Helmetshrikes – 8 Species –This is an African and south Asian group of species which are found in scrub or open woodland. 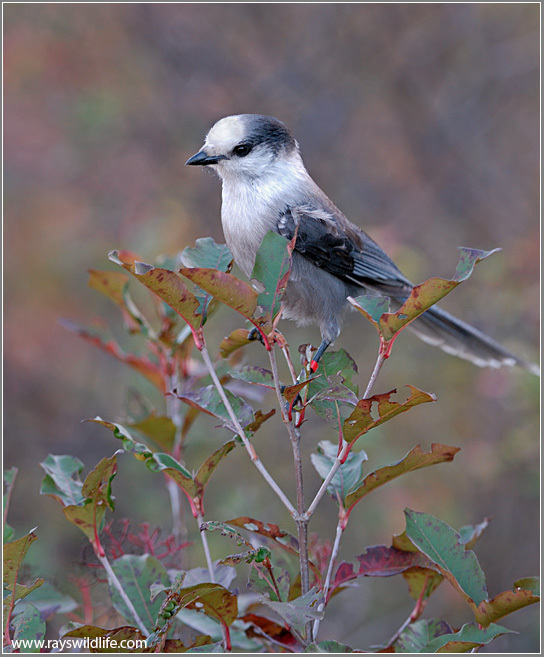 They are similar in feeding habits to shrikes, hunting insects and other small prey from a perch on a bush or tree. 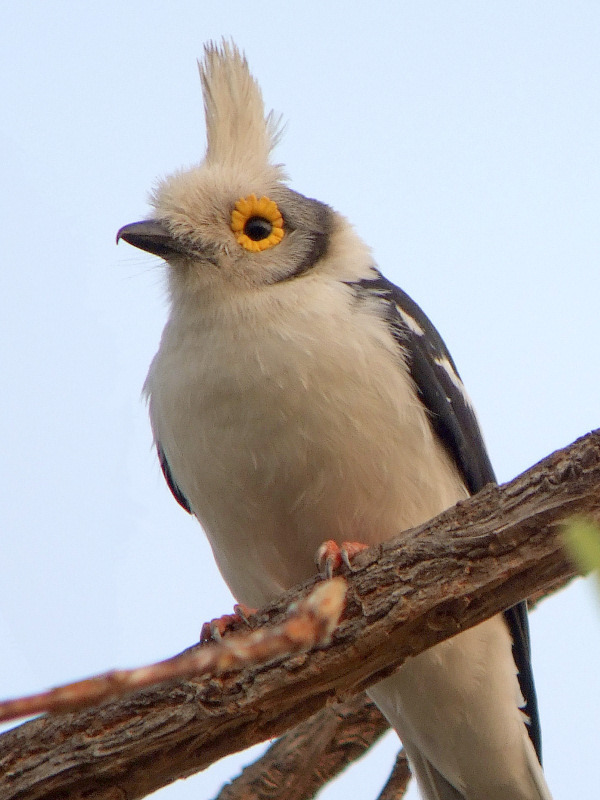 Although similar in build to the shrikes, these tend to be colourful species with the distinctive crests or other head ornaments, such as wattles, from which they get their name. 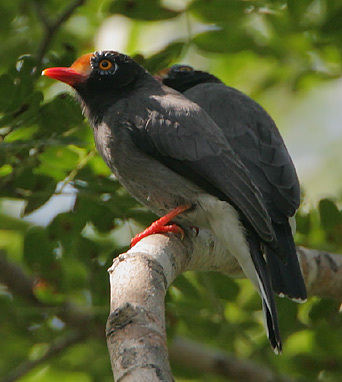 Helmetshrikes are noisy and sociable birds, some of which breed in loose colonies. They lay 2-4 eggs in neat, well-hidden nests.